Family of 8 commutes on 1 motorcycle — together! How does a large family commute anywhere if they have no car and little money? As this picture proves, there are no problems, only solutions. What appears to be an entire family of eight have all piled cheerfully on to one motorcycle. The three children, two men, two women and a baby are clinging to one another tightly, their hair blowing in the breeze – as they are, of course, compounding their danger by riding without helmets. Their lives appear to be in the hands of one of the men – clad in a dark purple shirt, he is the driver. 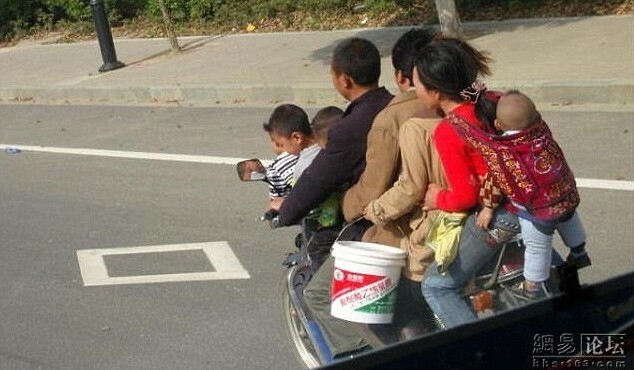 His control of the motorbike is compromised by the three children crammed on the saddle in front of him however. One hopes they only have to travel in a straight line, as he will find it very difficult to turn the bike with the three children there. Of course, the weight he is carrying on the back of the motorbike will not help either. To go around corners on a motorbike, the driver must lean into the turn. That is always more difficult to do when carrying a passenger – if the passenger does not lean with the bike also, or if they lean too little or too much, the driver could lose control. Unless you are an experienced rider, that’s difficult enough to manage with one passenger. With seven, it must be just about impossible. The driver will also find stopping difficult. The Hermitage Hotel has afternoon tea in the grand lobby. Down-filled duvets (that’s a fancy word for comforters). A presidential suite with 2,000 square feet. And a really nice toilet. So nice, in fact, that it’s been voted (drum roll please) America’s best restroom. Flush in the middle of downtown Nashville, the luxury hotel and its ground-floor men’s bathroom are definitely the head (so to speak) of the class. The redoubtable restroom is art-deco style with gleaming lime-green-and-black leaded glass tiles, lime-green fixtures, terrazzo floor and a two-seat shoeshine station. “You just can’t find anything like it anywhere else,” says Janet Kurtz, director of sales and marketing at the hotel. The restroom won the honor in online voting sponsored by Cincinnati-based Cintas Corp., which supplies restroom hygiene products and services. The company says “tens of thousands” of people voted over two months last summer. Precise numbers are kept, well, private. 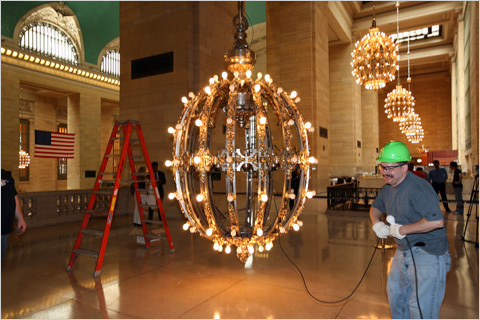 “People see it and fall in love with it,” Kurtz said. It has four stools, three urinals, four sinks, spotless mirrors and a Sultan telephone that connects to the front desk. And, (how do you put this delicately?) women seem attracted to it. The hotel, built in 1910 and renovated in 2003, has 122 guest rooms and suites. The restroom, down the hall from the hotel bar and restaurant, dates back to 1939. Do they leave the light on for you? Not necessarily, but the famous restroom is cleaned hourly. In her six years at the hotel Kurtz has never used the men’s restroom. But just wait. 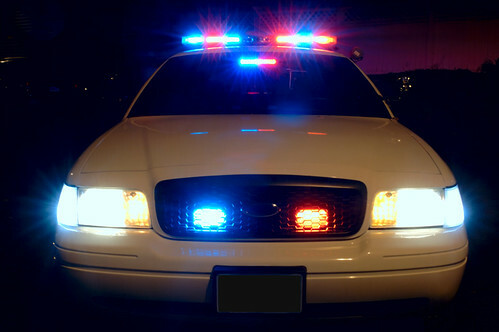 In less time than it took a North Brunswick patrolman to write a ticket for an unregistered vehicle, the driver got his car registered online Thursday. Leach’s ingenuity did not save him from getting a ticket, but it did keep him from having his car towed _ and getting socked with the towing bill. Zier pulled Leach over on Route 130 after noticing the sticker on his license plate was expired. When Leach told Zier he had not gotten around to renewing his registration, the officer mentioned that drivers can register online, North Brunswick Police Department spokesman Capt. Donald Conry said. Leach took the renewal form the commission had sent him from his visor, which contained the access code he needed to renew. While Zier issued the summons and ordered the tow, Leach called a friend who took his credit card number and other information and renewed the registration for him, Conry said. When Zier came back with the ticket, Leach told him the car was now registered. The computer inside Zier’s patrol car confirmed it. Zier canceled the tow truck _ no longer needed since it was to tow an unregistered car off the road. It seems an unlikely place to find such a symbol of romance. 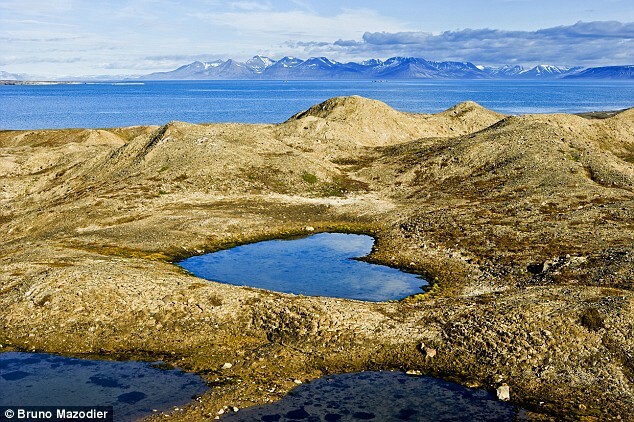 But Mother Nature chose this bleakly beautiful Arctic landscape to leave her mark in the form of a stunning heart-shaped lake. It has emerged as climate change melted the glacier that covered the area. Blocks of ice trapped during the glacier’s retreat caused the ground to cave in, creating a heart-like hollow, some 120ft by 90ft, that then filled with rainwater or snow melt. The Norwegian island 620 miles from the North Pole is the most northerly inhabited-place on Earth, although people are outnumbered by polar bears.